The end of the year is upon us and, before you know it, we’ll be diving into 2017. Are you looking to recruit in the new year? Does your company have a recruitment strategy? If you want to find the right candidate for the job, you should! The truth is that recruitment becomes a tougher job every year – the world moves faster than ever before, job titles have changed quite a bit, and job seekers have requirements of their own and most often will not hesitate to share them with prospective employers. Plus, the right people can grow your organisation while the wrong ones can do more harm than good so it’s worth giving your recruitment strategy a good dose of attention before you decide to hire in 2017. Know your needs. Why are you hiring in 2017? Are you replacing an established staff member or responding to a period of growth in your business? Either way, you need to be crystal-clear about what type of person you are hiring and why. What skills do they require and what about their attitude to work? A clear and detailed job description will go a long way to attracting and determining the right person for the job. Take the time. We live in a fast-paced world and are used to doing things quickly. While recruitment shouldn’t take months and months, to do it right first time takes time. You might need time to source candidates or to do follow up interviews. The job description, advertising, interview process, and ultimately the ‘to hire or not to hire’ question should be well thought-through to avoid making costly mistakes. Know the costs. On that note, just like your marketing and sales budget, you need to budget for the cost of recruiting a new person – from the cost of the individual’s salary and benefits to the cost of training and induction. This will allow you to go into the process with a strong sense of how much flexibility you have when it comes to issues like salary as well as allowing you to budget for a number of different recruitment ‘moments’ throughout the year. Remember that to maximise your return on investment, you need to hire strong, suitable candidates for the job. Create a great recruitment experience. Long gone are the days that the candidate alone must impress the employer. Top class candidates deserve attention and respect, especially if you are planning to make them part of the team. So take the time to plan out a streamlined interview process that includes a taste of what it is like to work within your organisation – show the candidate how your company truly live their values. From the interview to the follow up call, candidates should know what holding a position in your organisation will feel like as this is more likely to make them stay longer than going in blind. Get expert help. 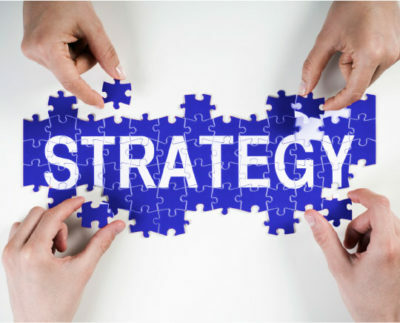 Don’t have the expertise, time, or energy to work on a recruitment strategy, not to mention implement it? Call us – as long-standing members of APSO (the Association for Personnel Services Organisation) with an extensive candidate database, we are specialists in the industries we serve. We have a country-wide reach and are committed to excellent service and fast turn-around times. We are dedicated to our clients and go out of our way to fully understand all recruitment briefs and requirements. When it comes to candidates, we will interview all prospective candidates for you, and check their CVs and references. Recruitment is a tough job but, with the help of seasoned professionals like the Lee Botti team, you are sure to find the right candidate for the role. Need more reasons to work with us? Just read this.